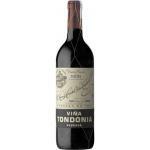 From Viña Tondonia - Bodegas R. López de Heredia (Rioja), we received this 2005 Viña Bosconia Reserva ($339.13), a red wine made of tempranillo, mazuelo, graciano and garnacha of 2005 and comes with an alcohol content of 14%. 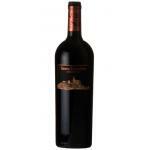 Uvinum users rate this red wine with 4 out of 5 points while experts give the following rate: robert parker: 94. - View: intense ruby, shades of orange. 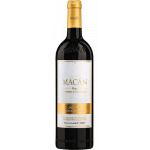 - Nose: persistent nose, with lots of fruit, mainly dominated by the Tempranillo. - Mouth: development round mouth, full-bodied, soft and fine and persistent. 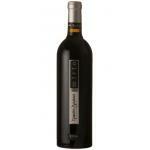 GRAPES: 80% Tempranillo, 15% Garnacha 5% Mazuelo and Graciano. 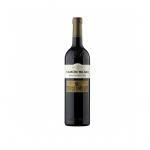 WINE PAIRING: meats, vegetables, stews, red meats and hunts, cheese or chocolate desserts and wild black fruits. A worthy follow up to the 2004 is the 2005 Viña Bosconia Reserva, a wine that they consider the most rustic and powerful in the winery, but that I find as elegant and subtle as it gets. This feels very much in line with the 2004, maybe a notch above even, a lower yielding year. The nose is somehow closed and feels young with the elegant rusticity lurking from the bottom of the glass, clean and precise. The tannins are velvety and there is great acidity--a constant here. The wine is terribly elegant. I simply loved this wine. 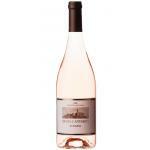 A seductive wine with lifted aromas that entice the palate of macerated red berries and a touch of cured meats. The wine leaves a scent in the glass that is really quite magical, drawing you into a succulent palate which is broader and richer than its predecessor. - Nose: persistent nose, lots of fruit. I bought several red in my favourite wine shop. It had a very deep colour. The wine mainly smells like roses. 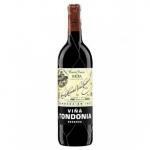 It is the lightest Viña Tondonia - Bodegas R. López de Heredia I've ever tasted. 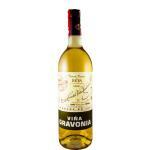 I took the Viña Bosconia Reserva with my couple in a romantic plan. 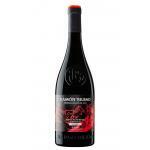 - This wine has evolved perfectly showing a deep ruby colour with shades of orange. Nice and pretty colour. You feel the vanilla smell. Compared to other Rioja it was rough. The best wine for grilled foie. Me and my friends always order this wine a for dinner . The Garnacha had a very deep color. Pretty aromas of nuts. I enjoyed it quite long after tha last sip. 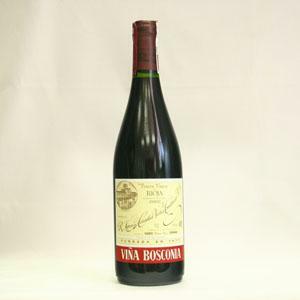 If you want to buy 2005 Viña Bosconia Reserva, at Uvinum you will find the best prices for Rioja red wine. Buy it at Uvinum at the best price, wherever you are via all your devices. We're the only site in Europe with more than 59.000 products for sale which turns us into the leading marketplace in selling wine, beer, and spirits in Europe thanks to more than 38.000 customers who trust us.